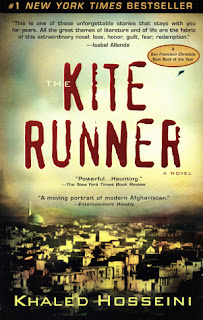 The Kite Runner, an international Bestseller, came to me as a birthday gift, and it is like none other. It is authored by Khaled Hosseni and is his debut novel. I read the 10th anniversary edition, little late indeed! Khaled Hosseni is an Afghanistan born author, settled in the United States. Still running my hands on the embossed letters of the book cover, which read "The Kite Runner", my mind riding back on the intelligent portrayal of the grim realities of the contemporary Afghanistan. I am assuming that this story is largely inspired from reality and has something to do with author's real life incidences. If not, I would call it exemplary and intense imagination. The plot is set in Afghanistan, Pakistan and some in America. It is about two children -Amir and Hassan who are grow up together. Then it turns towards the brutalities of French and Taliban. Amir comes back to Pakistan and then Afghanistan only to find extremities in the country. There are a lot of twists and turns, a lot of thrill and suspense on what shall happen forth. You can hardly predict a subsequent incidence. You keep getting surprised throughout. You will feel as if you are soaked in the agony and pain of the characters. You can feel yourself to be present there and witnessing the incidences. The story telling is excellent. Minute details are covered well. Characters come in and go and come back in when you are anticipating them the least. It's difficult to put the book down even when you are half asleep. Exactly when you feel that you can predict what is happening next, a twist pops in. I wonder how I could take so much time to finish this book and still never get bored of it. It kept me hooked to itself, at the end of every chapter I had been tempted to read another one. This book is for those who are fond of beautifully tragic fiction . However, it's not just about that. But yes, there is nothing HAPPY in this. You may feel gloomy at times. It might feel lengthy since a lot of details are covered, which could have been omitted. I rate it 4 on 5 and recommend for all the fiction lovers who like surprises at all the stages and ready to read a not so happy-go-lucky plot. So we are in the middle of the Valentine's festival. The first one to intimate about this was the bombardment of Valentine's jokes and memes on Whatsapp. Of these the best was- wo kya kisi ko rose denge, zindagi jinki roz le rahi hai. Although it's for "couples" (in double quotes), but this is an occasion where feminism dominates. It's an attack on the pocket of THE men, especially, teenagers! Sincere homages to Mr. Pyarelal who is vulnerable to the year's second big financial crisis apart from Premwati's birthday! Because every sweetu, jaanu, shona, babu has to repay their debt of being called so. Pondering on how and when did it all begin? Long back, there was no lovey dovey genre of Valentine's day, but now it is. And not only this, it brought along with it a whole week comprising of Rose day, Chocolate day, Teddy day, Hug day and a few more. Of them, the most cost effective one for the cupid-struck Pyarelal is Rose day (barring the mention of uncensored K*** day and Jaadu-ki-jhappi day for obvious reasons). Imagine if they start having a converse series of days for the loote-hue-aashiqs (the abandoned lovers) like romeo day, thappad day, daaru day, friend-zoned day, girlfriend-bani-bhabhi day etc. You never know! Are the ladies out there giving me the look of the sajish-karti-hui TV serial MIL!? Sorry, but no sorry. 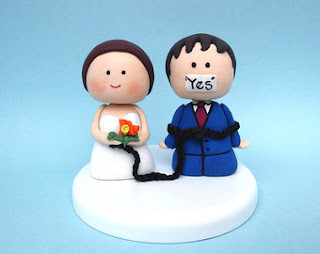 For the guys, teddies, chocolates and roses are not the sole expressions of love to the fair gender, may be catalysts. If you come across a gift shop, the whole interior these days is in red, the so-called colour of love. If you are in school, you have to be doubly sure your family remains uninformed of how you used the pocket money this month! Or you are gone. Yesterday the devotee in me felt like stepping into a flower shop outside a temple to get flowers for offering to god . To my surprise, even they were running short of flowers. Dear god, it's off season for you, please wait! Thanks to Bollywood movies for making this phony, cheesy, highly romanticised and commercial expression of feelings, compressed into a single day's celebration. By the way, Kaun kehta hai pyaar ek baar hota hai tumhe jitni baar dekho utni baar hota hai. True?